Sign Writing… What Do You Need To Know? Another painting art form. Again, styles have developed throughout the history of canal development. Various signs and symbols have become synonymous with canal art, many of which are reproduced on todays modern narrowboats. 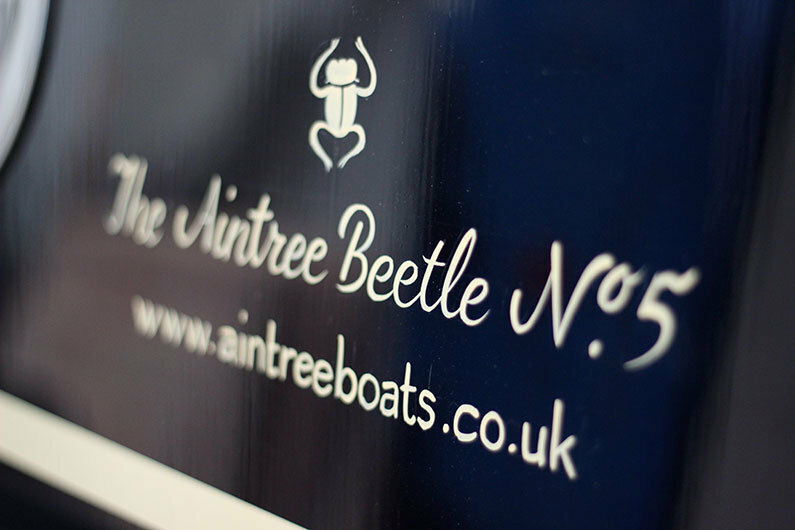 Signwriting can make or break a narrow boat. The eye is naturally drawn to the boat name and details of the owner where displayed. Additionally, good signwriting can draw the eye from a mediocre paint job. Great for the DIYer. Therefore it’s worth paying for a good sign writer to detail your boat. Plan on upwards of £500 for a quality job, and they will often do the panel detailing work too. 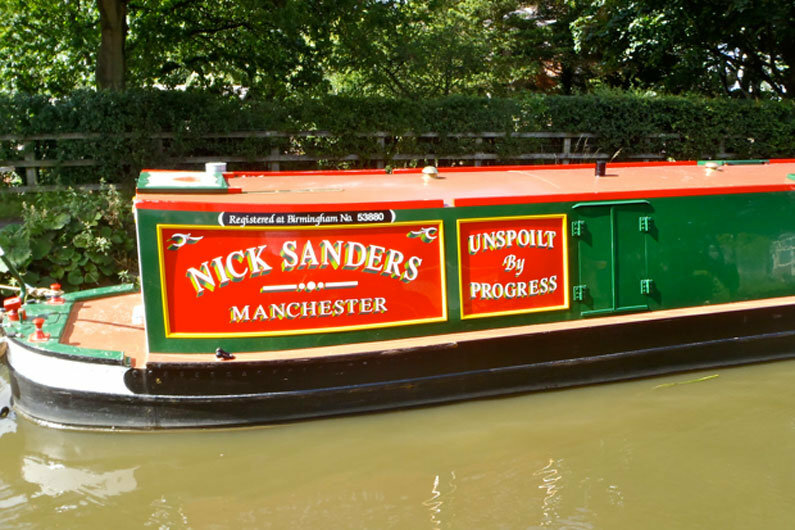 If you are buying a new canal boat, generally sign writing would be an optional extra. However you may chose to have this completed independently of the boat builder. Likewise if you are purchasing a sailaway widebeam or narrowboat, it is unlikely that any painting or sign writing is included with your price, but this can normally be requested from the sailaway boat builder. 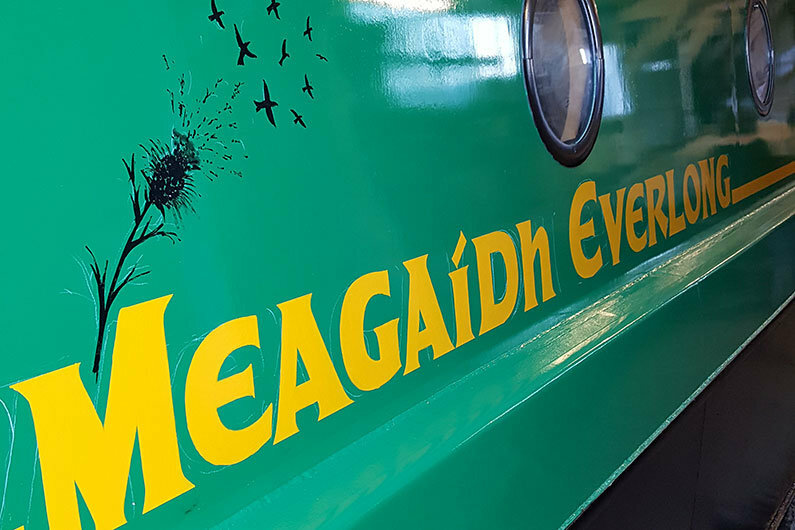 With improvements in the quality of materials and computer generated graphics, vinyl sign writing is a genuine attraction for some owners. For less than £50 companies offer a customised graphic design, printing and cutting service for marine grade vinyl that the owner can apply themselves. The only limit to narrow boat decoration becomes your imagination.